The indefatigable Valerie Strauss posted an excellent piece yesterday discussing where and how funds from the arch-reactionaries of the Walton Family Foundation were divvied out to various entities engaged in the privatization of public education. Second in funding only to the voucher dystopia and Michelle Rhee wasteland of Washington D.C. is Los Angeles, which saw the Ayn Rand worshiping Walton fortune heirs dump $11,981,508 into any organization proffering poverty pimping. Time doesn't permit covering all of Los Angeles based privatization outfits on the list, but a cursory glance at some of our more notorious and egregious local offenders was worth compiling. It's no small irony that Los Angeles based corporate charter chain Camino Nuevo Charter Academy (CNCA), which claims that it wants its students to become "agents of social justice with sensitivity toward the world around them" is on this list. Camino Nuevo Elementary School #3 got $250,000 from the right wing extremists at the Walton Family Foundation who also fund anti-gay, anti-female, anti-union, and a host of other reactionary causes and organizations. Seems to me that you can't teach the principles of social justice if you're taking money from organizations whose entire purpose is to perpetuate and exacerbate injustice. Perhaps that's why CNCA doesn't mention the Walton Family Foundation on their donors page, they don't like being exposed for the charlatans that they are. Like all corporate charters, CNCA is slick in that they ape the language of social justice, while conveniently pouring money into their executives' pockets. Just one look at the composition of their board should remind people who CNCA really serves. [P]rivate sector experience is important because there are business best practices which can improve the way the education organizations are operated. I'm always wondering which of the three core business practices (lying, cheating, and stealing) Broadytes  are referring to. Well in this case it's lying. Camino Nuevo has been claiming that their newly selected principal chosen to run what was formerly a public school site recently handed over to CNCA was nothing less than a Professor at LMU's School of Education. Turns out he was nothing of the sort, but playing fast and loose with the truth is a hallmark of corporate charter chains. [S]ince the wealthy Ben Austin, who lives in an affluent area that is "87.5% white and the median household income is $169,282," is blissfully unaware of how culturally loaded, and frankly racist, the word trigger is to use in conjunction with low income areas like Compton. Most importantly, [Caroline] Grannan, who is one of several experts on Parent Revolution, points out the organization is "not a parent group but was founded by charter school operators, backed financially by billionaires and corporate interests." Parent Revolution are certainly no strangers to the kind of values and society the Arkansas Robber Barons envision, being experts in stoking "the subtle, insidious racism that fuels the charter/voucher movement." I was puzzled recently seeing a gushing article discussing a seemingly self colonized former Teach For America and current Parent Revolution employee Christina Sánchez who described herself as an Ivy League Revolutionary. Apparently Ivy League graduates consider it "revolutionary" to take funds from the Broad/Gates/Walton Triumvirate to carry out a reactionary agenda of privatization. I suppose hosting forums with The Heartland Institute, quoting The Hoover Institutions' Andy Smarick, and pandering the wealthy westside racism are all part of the revolutionary's toolkit — if you're a teabagger. The Parent [Counter]Revolutionaries recently attacked the distinguished Dr. Diane Ravitch, citing an another amateurish article by Matthew Yglesias — their third favorite writer after Ben Boychuck, and Andy Smarick. It's amazing what you can do with Walton Family Foundation money! "We have no money. 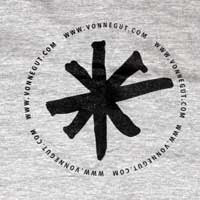 We're a non-profit. We don't have a rich guy that even [sic] gives us extra." Seems that there is some cognitive dissonance to work out here. Since Petruzzi's salary eats up almost half of the that half a million, perhaps he really can't tell that the Walton fortune heirs are "rich guys" (and a gal) that give Green Dot money all the time, and they're not the only ones. This reliance on plutocrat funders certainly goes a long way towards explaining why the original Alain Leroy Locke Charter High School petition contained language requiring students "demonstrate a belief in the value of capitalism." $3,940,652 of the Walton money went to the notorious California Charter Schools Association (CCSA), which was founded by right wing bigot and nativist Steve Poizner. It is currently led by serial liar Jed Wallace. 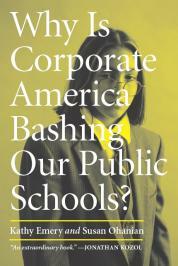 CCSA is a trade association for charter-voucher schools, essentially a Chamber of Commerce for charters. Their primary purpose is to grow charter school market share. CCSA is funded by both the membership dues their member schools pay, and the same plutocrat foundations that fund school privatization in general. For example The Walton Family Foundation, Broad Foundation, Gates Foundation, and others. In addition to marketing and growing market share, the CCSA sells "products" and "services" to their constituent charter members. Insurance, consulting, loans, and the like. Even though they are all supposedly "non-profits" they sure sound like regular businesses at this point no? Of course all the businesses they deal with to provide services are for profit enterprises, so you can kind of figure out what's really going on there, given that they have a steady steam of taxpayer money pouring in. Consider this charter executive's scheme to make money, and you'll see what I mean. Their motives are to continue to privatize as many schools as possible. Not only because the end goal of the people and foundations that fund them is to privatize (and profitize) the entire system, but because Charter Management Organizations have to continually grow market share in order to keep up with the costs associated with running schools while paying astronomical salaries to their executive staff. Public education represents an annual 500 billion expenditure. Corporate vultures don't miss those kind of things. 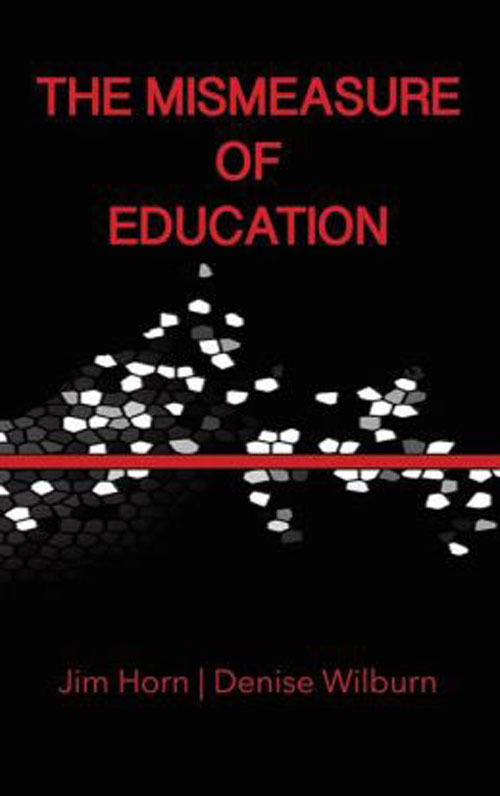 The celebrated author Jonathan Kozol discussed this: "The education industry represents, in our opinion, the final frontier of a number of sectors once under public control... represents the largest market opportunity... the K-12 market is the Big Enchilada." — Montgomery Securities prospectus quoted in Jonathan Kozol's "The Big Enchilada." CCSA is the neutron star that Mayor Villaraigosa and the Coalition for School Reform funded Los Angeles Unified School District Board members orbit. 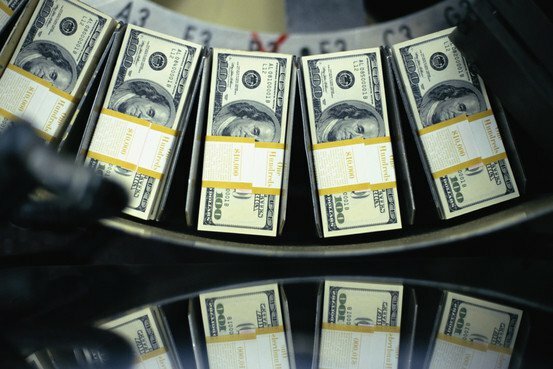 First, with all that money missing with no explanation and former ICEF chief Mike Piscal having fled the state to a cushy charter post in Nevada, why aren't more people asking "where's the money Mike?" Second, isn't it funny how the corporate lackeys in the reactionary Democrats for Education Reform (DFER) crowd who constantly parrot their Cato, AEI, Hoover, and Fordham mentors in saying you cannot save public education by throwing money at it, suddenly change their tune as soon as one of their privatized charter voucher schools are in trouble? If it's run by a private corporation, they're happy to throw money at it, and lots of it! Coincidence? In the end the damage done by years of privatization funding of this magnitude will be difficult if not impossible to ameliorate. While providing information about these nefarious foundations and their motives is helpful, it doesn't replace the dire need for grassroots organization and struggle on the ground. Los Angeles, like every other city that's targeted by the plutocrats that want to end public education, must begin to create community and parent organizations big enough to demand that the school districts remove every administrator (starting with Superintendent John Deasy) that's been planted by billionaires engaging in right wing social engineering. It means activists being able to explain to entire communities who funds astoturf groups like Parent Revolution and what their real goals are. It means community, parents, students, and teachers forming meaningful coalitions to take direct action against standardized testing and begin implementing worthwhile curriculum like project based learning, bilingual and ethic studies programs, and problem posing pedagogy. Those things would represent a true turning away from the status quo. We have a lot of work cut out for us, but many people are beginning to see through the corporate smoke screens and the slick DFER opportunism. If you believe in public education and social justice, now is the time to fight. You can start by supporting the Save Our Schools March & National Call to Action. ¡El pueblo unido, jamas sera vencido! I know most people are inclined to call the graduates of the Broad Residency in Urban Education and Broad Superintendents Academy Broadies. However I prefer to call them Broadytes, since it sounds appropriately like troglodytes. Broad's vile institutions are essentially a School of the Americas for poverty pimps and privatization pushers. The oceans are in a far worse state than previously thought, according to a prestigious group of scientists. Of course, doom-and-gloom environmental stories are so common they’re almost yawn-inducing. But this one is different, insists Time’s Bryan Walsh. The state of the oceans never gets the coverage it really deserves and a report issued by the International Program on the State of the Ocean reveals things are more dire for the marine world than previously thought. Also shocking is how the scientists detail that the speed and rate at which the oceans are degenerating is much faster than anyone had previously predicted, notes the Independent. In fact, the scientists say that the first steps of a mass extinction may have already begun and some entire marine ecosystems may vanish within a generation. . . . So there was a big story in the newspaper of record, right? Not so much--the only mention was on the NYTimes' Green blog, out of sight of oligarchs like the high-rolling Koch Boys who work overtime on new ways to deny the undeniable fact that the future of civilization and most species on Earth hangs in the balance unless humans act radically to slow global warming during this and the next decade. This is the ballgame. No more playing if we lose this one. So what does the Times think is important enough environmentally to put on the front page of the last Sunday edition? A big story of inefficient cable boxes that consumers must do something about, while the oligarchs like the Koch Boys commit environmental genocide and crimes against the Earth never get called out by the corporate media, nor are they ever mentioned as perpetrators of mass extinction. For more detail, see the "Climate Change" section of ALEC. "The...Koch brothers and their dirty-energy buddies are now bent on dismantling one of the nation’s last hopes for doing anything about climate change in the near term: regional climate accords. Today, a total of 32 states are active participants or observing members in the Regional Greenhouse Gas Initiative in the Northeast, the Midwestern Greenhouse Gas Reduction Accord, or the Western Climate Initiative. [ But ] that number will get a lot smaller if the American Legislative Exchange Council — a D.C.-based conservative advocacy organization funded by Koch family foundations, ExxonMobil, and other oil companies and big corporations—gets its way. ALEC offers legislative templates to state lawmakers who don’t want the hassle of writing their own conservative bills....[and] has produced 800 to 1,000 pieces of so-called “model legislation.” [access to which is restricted]... which makes it difficult to trace a bill’s language back to ALEC. But...it looks like the template has been getting a lot of use lately. Language that regurgitates all of the right’s favorite—and in many cases fallacious—anti-cap-and-trade talking points has cropped up in nearly identical form in resolutions or bills in at least six states...Last year in Michigan...This year...in Montana, New Mexico, Oregon, and Washington...New Hampshire. 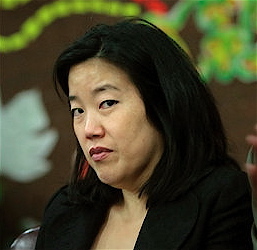 For those who viewed Michelle Rhee as an anti-union bully, the past few months have offered lots of chances to say “toldya so.” Soon after resigning as the D.C. Public Schools chancellor in October, Rhee began appearing with Republican governors who were busily making war on public-sector unions. But if longtime Rhee critics felt vindicated, another group has been less sanguine: left-leaning education reformers who worry that her moves could help tie education reform to a larger conservative agenda to crush organized labor. Since the launch of Rhee’s advocacy organization, StudentsFirst, the optics certainly haven’t been favorable for her fellow Democratic reformers. In October, pugilistic New Jersey Gov. Chris Christie asked her to become his education commissioner. Rhee turned him down, but called herself a “big fan” of his plans to weaken the state’s teachers’ unions. Months later, Rhee became an adviser to Rick Scott, the Tea Party favorite who, as Florida’s governor, has fought to erect new barriers to collecting union dues. And when an even higher-profile clash over public-sector unions began this year in Wisconsin, Rhee was lauding its right-wing governor, Scott Walker, for taking an “important” step to rein in teacher pensions and “limit what they bargain.” . . . The question that first needs to be asked is whether we should have common core standards at all. The idea of standards seems to be innocent and common-sense, but the current movement, from the beginning, has been a means to establish national tests, which are unnecessary (we already have plenty of tests that do the job very well; in fact, we have far more than we need), and expensive (MUCH more expensive than we originally thought). We can discuss standards only after we protect children from the effects of poverty (no child left unfed; better health care, access to reading material). Here is a media and information-literacy activity for all of us. Examine Arne Duncan's speeches, especially those in which he first announced the need for the common core. Examine, in detail, the US Dept of Education documents supporting the common core and the related national tests, such as the Blueprint from the US Department of Education. Examine media reports, comparing those selected for publicity by the NCTE Inbox and other organizations with those posted on susanohanian.org. See especially reports on who will profit financially from the common core standards and national tests. Examine research related to the standards and national testing movement. Start with Berliner. Reread Bracey, Alfie Kohn. Read documents both defending and criticizing the common core standards and national testing movement. Start with One Size Fits Few (Ohanian). "What Research Says About the Effect of Teachers"
Value-added models appear to pick up some differences in teacher quality, but they can be influenced by a number of factors, such as the statistical controls selected. They may also be affected by the characteristics of schools and peers. The impact of unmeasured factors in schools, such as principals and choice of curriculum, is less clear." (3) "What are the differences in achievement between students who have effective or ineffective teachers for several years in a row? Some teachers produce stronger achievement gains among their students than others do. However, estimates of an individual teacher’s effectiveness can vary from year to year, and the impact of an effective teacher seems to decrease with time. The cumulative effect on students’ learning from having a succession of strong teachers is not clear." (4) "Do teacher characteristics such as academic achievement, years of experience, and certification affect student test scores? Teachers improve in effectiveness at least over their first few years on the job. Characteristics such as board certification, and content knowledge in math sometimes are linked with student achievement. Still, these factors don’t explain much of the differences in teacher effectiveness overall." (5) "Does merit pay for teachers produce better student achievement or retain more-effective teachers? In the United States, merit pay exclusively focused on rewarding teachers whose students produce gains has not been shown to improve student achievement, though some international studies show positive effects. Research has been mixed on comprehensive pay models that incorporate other elements, such as professional development. Scholars are still examining whether such programs might work over time by attracting more effective teachers." Students tend to do well in some heavily unionized states, but it isn’t possible to conclude that it is the presence or absence of unions that cause that achievement." This is the second email that I received from Emily Kennedy prior to our interview. I am using Emily's name because she wants wanted it that way, and it should not be construed as affecting the anonymity that I have assured, and will assure, to other interviewees involved in my current research project involving former teachers of KIPP. By now, a lot of you have heard about the experience I had teaching at charter school in Brooklyn this year. I hope my ranting wasn't too much, but if it was, you may want to skip to the next paragraph of this email so you don't have to hear it all again. To the rest of you, however, I'd like to share a little bit about what I saw happening at this school. Additionally, my students were asked to spend an extra hour either before or after school participating in tutoring, where they did even more test prep. For most of my students, that meant a school day that ran from 7:30 to 5:30, with only a 15 minute break for indoor recess - which, by the way, was only allowed if they also finished the hour of homework we gave them each night. Perhaps worst of all, the pressure to pass the tests was not even remotely concealed from the kids. Instead, they were constantly informed that they would not go to fourth grade if they failed. The US Department of Education is planning the most massive and expensive testing program ever seen on the planet, far exceeding the already unacceptable level of testing demanded by NCLB. There is no evidence that the new tests will work and plenty of evidence that they will not. If they fail, students and teachers will suffer, but testing companies will keep their profits and will get to try again. At the same time, schools are "squeezing out librarians" (June 25). Study after study shows that quality school libraries staffed by a credentialed school librarian are related to higher reading scores. For a fraction of the cost of the new standards and tests, which have no research support, we could easily improve our libraries and staff them with knowledgeable librarians, an option with plenty of research support. Everyone who knows anything knows that KIPP can only remain a billionaire's choice boutique option for segregating urban children who are desperate enough that they will forego their childhood and suffer years of repeated indignities for a chance at an education, which amounts to a miseducation built upon unceasing test prep and a behavioral catechism more suitable for a penitentiary than a school. Unfortunately, the total compliance and total surveillance model of KIPP has inspired a number of high-flying knock-offs like Brooklyn Ascend and its two sister schools in Brooklyn, which use the familiar chain gang methods to denigrate, demean, and destroy the spirits of kids, all in the twisted and debased name of equal opportunity for children who are captive to poverty. Social justice in blackface is the only adequate way to describe this caricature of equal education. 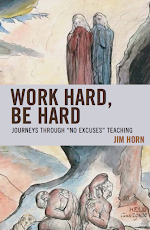 Third grade teachers were required to return to work over Christmas break (including New Years Eve) for special "training" in "Teach Like a Champion" techniques [the book by Doug Lemov that has replaced teacher preparation and professional development in these chain gangs]. During this training, a lady named Sue Welch from "Building Excellent Teachers" instructed us on what our first day back with the kids would look like: four hours (8-12pm) of teaching nothing but procedures. When I asked if perhaps we should do something to make it at least a little more "fun," she told me that fun was absolutely not an "appropriate objective." In order to boost test scores, science, social studies, and Spanish were removed from the schedule of the low-performing group. Instead, we were required to teach an additional reading and math block during this time. Scholars [the word that has replaced children] in the low-performing group were required to attend after-school-tutoring sessions for more test prep. So, after going to school from 7:30 to 4:30, they needed to stay an extra hour for more test prep - in addition to completing the hour of homework that we are required to give each night. (8 year olds!!) Needless to say, I had many kids falling asleep in class and having frequent stomach aches. Our school director - a TFA grad - thought that if we brought more of the "j-factor" to our classroom (joy factor) that they would be more motivated. To him and other Doug Lemov zealots, this means doing cheers like "Pick of your pencil and YOU WILL BE REWARDED!" in between long independent work sessions. . . .
Small-group guided reading (when we were once able to choose books that the kids would really enjoy) was replaced with small-group test-preparation sessions, where teachers were given scripted lessons and packets that mimic the reading comprehension portion of the New York State test. All lessons from February break onward were based on specific skills that our "data analyst" determined for us by looking at results from the mock exams. During the testing weeks, we had "pep-rallies" each morning in which they kids had to do chants about how they were going to ace the tests. I could go on. I am so angry that this is what our country is allowing education to become. Even if the STEM crisis were real, there is no evidence that all these new standards and tests will improve achievement, and plenty of evidence that it won't (e.g. Krashen, S. A Fundamental Principle: No Unnecessary Testing (NUT), available at sdkrashen.com. The National Science Council report provides only mildly suggestive evidence supporting standards, p. 27.). The new standards and tests will also cost billions, not only to develop and revise the tests, but also to administer them on-line. This is money that is badly needed elsewhere. In short, the National Council of Science proposal to toughen science standards and add more tests is a bad solution to a problem that may not even exist. The Growing Excellent Achievement Training Academies (GREAT) Teachers and Principals Act (H.R. 5218) promises to set up special academies with high admission standards, use "innovative" clinical approaches to teacher education, and focus on "achievement" (increasing test scores). GREAT is based on a false premise, addresses a non-existent crisis, and ignores the real crisis. The false premise: "Studies show that nothing makes a bigger difference to learning that great teaching." No. Out-of-school factors, especially poverty, have a much larger impact. 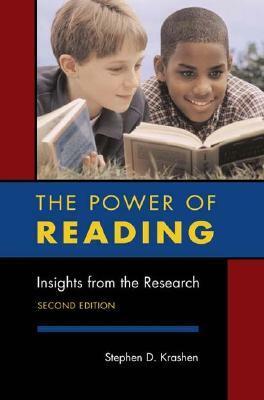 The best teaching in the world will have little effect when children are hungry, in poor health, and have little or no access to reading material. Non-existent crisis: There is no evidence of a serious crisis in teaching quality in the US. Studies show that American students from well-funded schools who come from middle-class families outscore students in nearly all other countries on international tests. Our average scores are less than spectacular because we have the highest percentage of children in poverty of all industrialized countries (over 20%; in contrast, high-scoring Finland has less than 4%). The real crisis: What this means is that the "problem" with American education is not teaching quality but poverty. Poverty means inadequate nutrition, inadequate health care, exposure to environmental toxins, and little access to books, all of which are strongly associated with lower school performance. * access to quality libraries. We can do this for a fraction of the investment we are now eager to make in new standards, new tests, and high-sounding training academies. If all of our children had the same advantages middle class children have, our test scores would be at the top of the world. By 65 percent. Meanwhile, the most fabulously-grandiloquent and morbidly-obese governor in New Jersey history cuts more police officer position in Newark, while cops in his leafy suburbs earn six figures for writing traffic tickets. Christie is also slated to sign a bill choking off collective bargaining by public employees, despite his lie 3 months ago that he supports collective bargaining. Plus cut pension and health care benefits for public employees in order to sustain the hundreds of millions in tax cuts for Jersey's millionaires. Charter school advocates “do not let their fear grow bigger than their faith. They do not let their inability to do everything stop their determination to do something,” he said to applause. We know whose fault it is, whatever "it" is. Do you hear that, you anti-charter child vilifiers? Just to make sure you understand, to be against corporate charter schools is to be against children! Corporate foundation charter schools are under attack, I say, in every single state, even the ten states that don't have charter schools. Amen! Under attack by those public employee union scumbags. But don't worry, for Cory's mammoth white friend, Gov. Christie is on the job back home to deal with that rabble. Think global economy, amen, Brother Booker. Booker talked about the 13-year-old shot and killed in Newark over the weekend in an argument that the mayor says was over a girl. He bemoaned the high incidence of homicides among young black men and the school-to-prison pipeline. I know, Cory, it is all just too ironic for words, even for someone with your gift for them. In a sharp rebuke to the Obama administration, the Republican chairman of the House education committee on Thursday challenged plans by the education secretary to override provisions of the federal No Child Left Behind Law, and he said he would use a House rewrite of it this year to rein in the secretary’s influence on America’s schools. Responding to Education Secretary Arne Duncan’s promise to grant states waivers to the education law’s most onerous provisions if Congress failed to rewrite it, the committee chairman, Representative John Kline of Minnesota, sent Mr. Duncan a letter on Thursday demanding that he explain by July 1 the legal authority that he believed he had to issue the waivers. . . . .
. . . . Mr. Duncan has predicted that unless the law is rewritten quickly, 80,000 of the nation’s 100,000 public schools could be declared failing this fall, demoralizing educators and paralyzing administrators with red tape. Notice that the demoralization and paralysis was no concern as the poorest 30 percent of schools were blown up during the past 9 years. Only when the demoralization and paralysis reaches into the leafy suburbs do the neolibs spring into action. This month, Mr. Duncan said that if Congress failed to rewrite these and other provisions by September, he would use his executive powers to waive them — but only for states that agreed to embrace the administration’s education priorities. He used that formula in the Race to the Top grant competition, awarding money to states that opened new space for charter schools, for instance. In his letter, Mr. Kline asked Mr. Duncan to explain how the Department of Education had the authority to grant waivers “in exchange for reforms not authorized by Congress.”. . . . Meanwhile, some states are taking matters into their own hands. On Tuesday, Idaho’s superintendent, Tom Luna, said his state would not lift its mandated testing targets this year, as required under the federal law. “If Congress and the administration will not act, states like Idaho will,” Mr. Luna wrote. "What do we want? A vote! When do we want it? Now!" while an assortment of politicians pledged obeisance to what these parents demanded: An end to the unchecked growth of charter schools. A new group backed by two hedge-fund founders is taking aim at New Jersey's largest teachers union. Better Education for Kids wants to end the use of seniority in teacher-hiring decisions . . . and weaken tenure. . . . It's the first major foray from the hedge-fund community into New Jersey's education-reform scene. Hedge-fund managers and employees have been active in New York education circles for years, as support for charter schools came into vogue. KIPP followed its 8th grade graduates, who were overwhelmingly from poor (85%) and minority (95%) families, and found that, ten years later, 1/3 of them had graduated from college, a rate that was about four times their expected graduation rate and the same as that of white students. Let me see if I can offer a little context for this claim. Together, the four schools began with a combined total of 312 fifth graders in 2003-04, and ended with 173 eighth graders in 2006-07 (see Exhibit 2-3). The number of eighth graders includes new students who entered KIPP after fifth grade (p.12) (my bolds). So the combined 8th grade cohort from the five schools was 55 percent of what it was 4 years earlier, and this 45 percent attrition rate includes recruits along the way who enter the Bay Area KIPPs in grades 6, 7, and 8. We do not know how much the original 2003-2004 5th grade cohort actually shrank. 55 percent? 65 percent? In determining college completion rates for KIPP’s recently-released college completion report, the KIPP Home Office conveniently uses as a baseline the percentage of students who finish 8th grade at KIPP's segregated chain gangs, rather than the percentage of kids who complete all four grades at KIPP. This brand-protecting approach does not take into account the 45 percent (or more) attrition rate between grades 5-8. KIPP’s home office folks declare that “as of March 2011, 33 percent of students who completed a KIPP middle school ten or more years ago have graduated from a four-year college” (Executive Summary). If we were to actually take into account the large number of low-performing and resistant students that KIPP “loses” between grades 5 and 8, the percentage of college completers when compared to the number who begin at KIPP would be cut by almost half. Even so, let’s use the KIPP-friendly number of 55 percent completion rate for grades 5-8. When multiplied by .33 (college completion rate for students who completed KIPP before 2001), we find that 18 percent of those KIPPsters who began KIPP in 5th grade 14 or more years ago have actually completed college. Now this 18 percent is still slightly more than double the national low income college completion rate arrived at by the KIPP Home Office, if we can believe the 8.3 percent figure for “comparable students from low-income communities across the country,” which is based on extrapolations from some often-incomplete U. S. Census data interpreted by Tom Mortenson. Note, too, that Mortenson’s 8.3% graduation rate for students from families in the bottom quartile of income is based on attainment by age 24, six years past high school, whereas KIPP’s numbers of 33% college grad rates are for KIPP graduates who may be as old as 27 or 28. A major issue in higher education is the disparities in enrollment, persistence, and attainment among low-income students. IPEDS [Integrated Postsecondary Education Data Systems] does not collect income data on students and therefore does not have the ability to provide graduation rates by student income (American Council on Education, 2010, p. 9). The bottom line: the graduation rate, at best, for students who began KIPP fourteen or more years ago is an underwhelming 18 percent, almost half of the rate reported by the KIPP Home Office, which has not bothered to submit its college completion "research" procedures for peer review. Given the unlimited financial resources of the KIPP network of hedge funders and billionaires, along with its ongoing and unceasing assistive interventions to get former KIPPsters through high school and into and through college, this 18% figure is even less impressive. That scenario, however, is not in keeping with "preparing for the global economy," which means working harder, longer, and for less. Oh yes, and being nice about it in the meantime.